2. The occupiable sqft at NCRC is approximately 1.3 million (net assignable sqft – NASF) . 3. Excluding 362,000 NASF which is comprised of utility buildings, the childcare center, and the GMP facility, there is approximately 941,000 sqft of office and lab buildings. 4. Of this office and lab building space, approximately 741,000 sqft is considered active. 5. Of the active NASF, approximately 678,00 sqft is currently occupied. 6. This leaves about 63,000 NASF of unoccupied office and lab building. 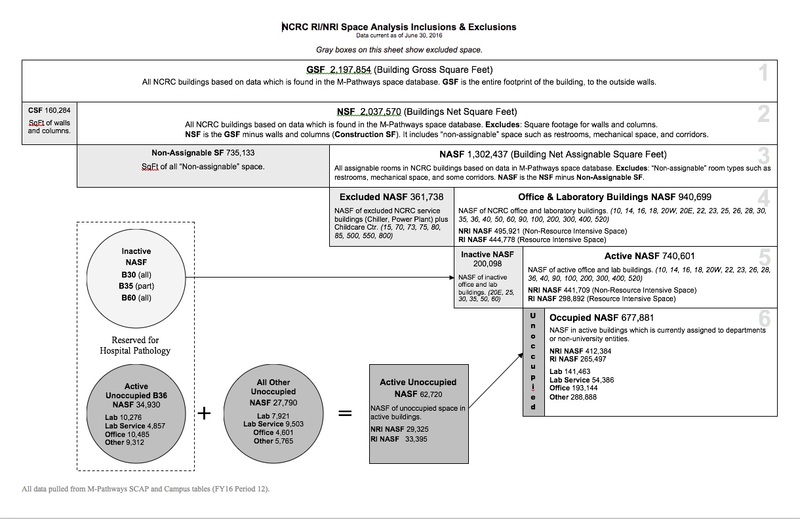 In summary, 91% of NCRC’s active NASF and 72% of its total capacity (active and inactive NASF space) is occupied.